Nowadays, business dining in more casual, friendly ambience is preferably and mostly arranged in a fine dining restaurant to impress a business partner. But not only a place choice, your professional personality, dining etiquette and wine basic knowledge are also necessity to make a perfect occasion. And here is a little tip to order wine like a Pro! If you don’t feel confident about ordering wine, just look for a sommelier! A sommelier is a well-trained and knowledgeable wine professional specializing in all aspects of wine services as well as wine and food pairing. 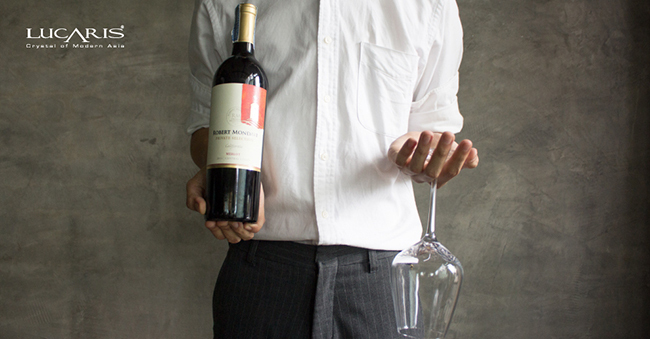 The sommelier is mostly the one who creates a wine list in restaurants and in charge of all the wine services. Before asking the sommelier, first ask yourself the following questions. Which type of wine do you like? What kind of cuisine will you order? Would you like to try something new? How much are you willing to pay? 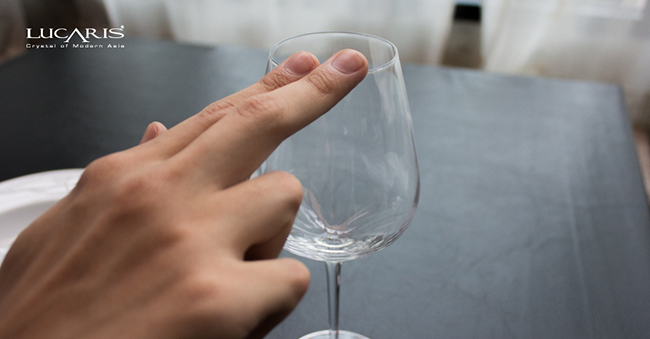 When you have a clear answer of questions above, it’s now time to know a little tip to ask your sommelier. 1. Choose the wine you prefer. 2. 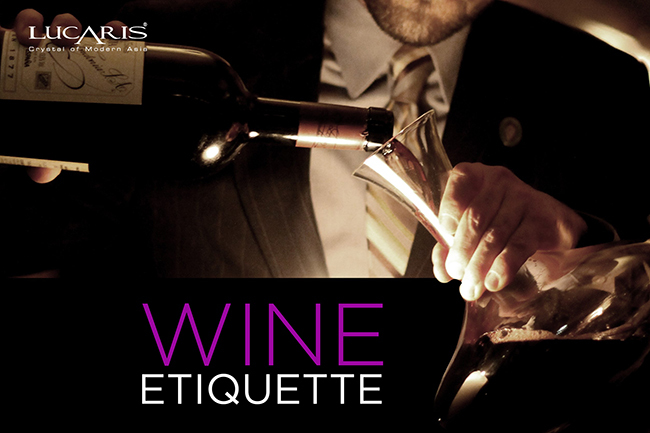 Tell the sommelier about your wine choice and ask for food to pair with or directly ask the recommended wine. 3. 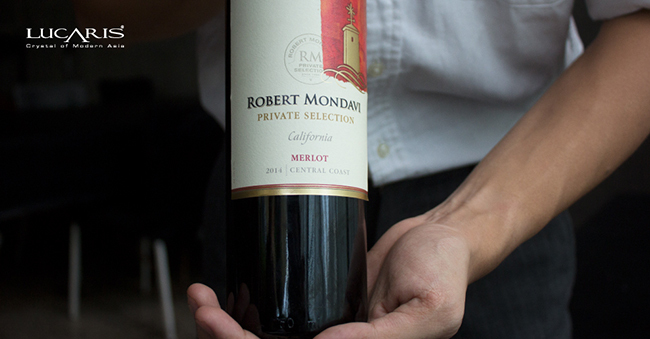 Secretly tell the sommelier about your preferred price by point it on the wine list. In this way, you don’t have to feel shy to show your real budget to your friends at the dining table. 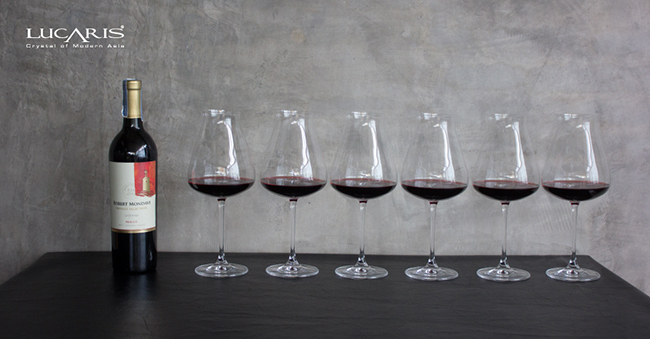 One thing you should know about ordering wine is the bottle size. 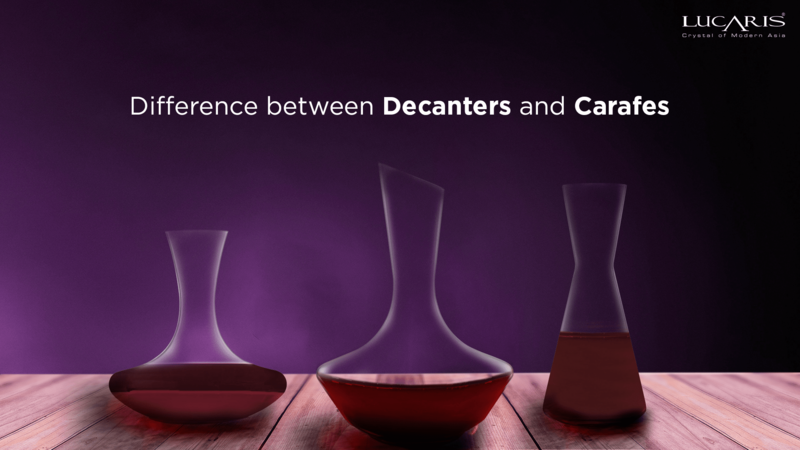 Normally, a bottle of wine contains 750ml and a glass of wine could serve around 125 – 150 ml. Therefore, one bottle of wine can fill up 5-6 glasses. Not only order a bottle of wine, you can also order wine by the glass. However, you should ask the sommelier if the bottle has been opened more than a day. If it has, maybe you should order something else. 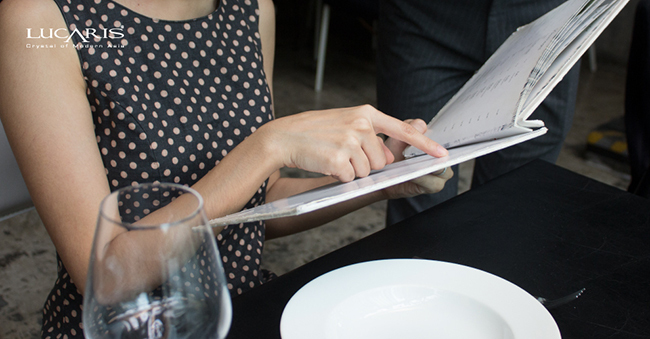 For a wine beginner who didn’t have time to study about grape varieties, wine regions, or characteristics of wine before arriving the restaurant, ordering form the “Wine List” might be like a treasure hunter for you. Here we have some tips for you! Just remember one of these grape varieties because it can be paired with many dishes. Riesling is a grape variety which has a wide palette from dry to super sweet. However, we recommend the dry Riesling from Alsace, France or Germany as its balance between sweetness and acidity is mostly suitable for many dishes especially the spicy taste from Thai cuisine. 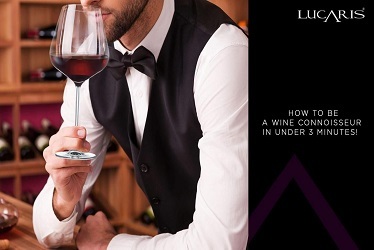 To enhance the refreshing characteristics of Riesling wine, we serve it in a small, tall crystal wine glass like LUCARIS Desire Crisp White or any Riesling wine glass from LUCARIS Lifestyle Collection. If you are looking for the universal red wine to pair with your dinner, Pinot Noir might be the answer you are looking for. 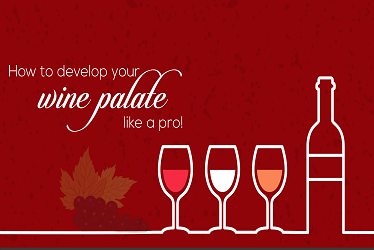 Pinot Noir is the light-bodied red wine which can be perfectly paired with both meat and seafood dishes. 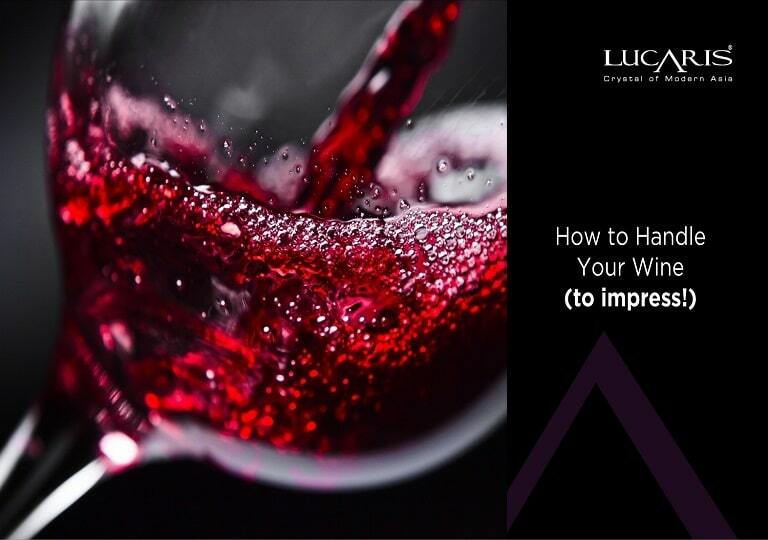 We recommend Pinot Noir from Burgundy, California, Washington DC and Oregon to serve with LUCARIS Desire Elegant Red.The glass will enhance the wine aroma and its characteristics stronger. Sommelier and you have to exam the wine together. 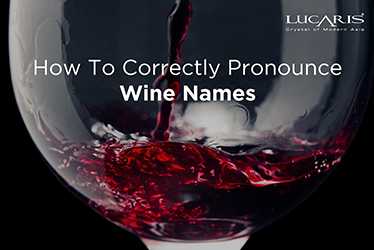 Before serving wine, the sommelier will show you the wine label to confirm the wine type, vintage, and grape variety that it is the right bottle you are looking for. The sommelier then will serve just a little amount of wine for your tasting if there is anything wrong with the wine. If there is, you can ask to change the bottle. 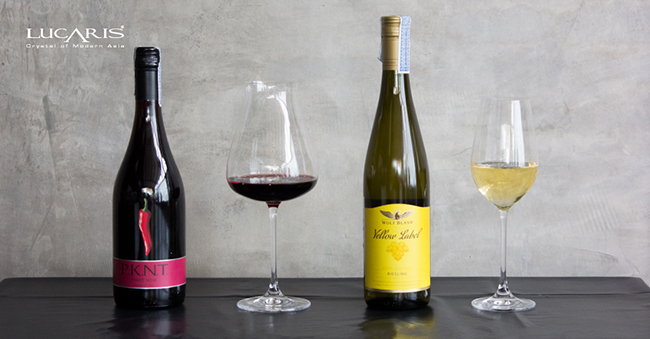 These are tips that can make you more confident in ordering wine like a pro. If you are looking for a great wine place for dinner, you can just review our Sip with Style. We‘ve been to Thailand, Singapore, Malaysia, Indonesia and Hong Kong to discover the best fine wine and dining places for you. 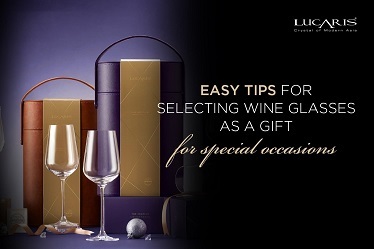 A good crystal wine glass like LUCARIS can best complement your favorite wine. In Thailand, shop online now at Wine-Now, Central, or Lazada,. For international areas, please check out contact meor B2B Service page at LUCARIS official web site. The biggest online wine store in Thailand includes free delivery. One of the biggest department store in Thailand and online is now available. The most famous online store.